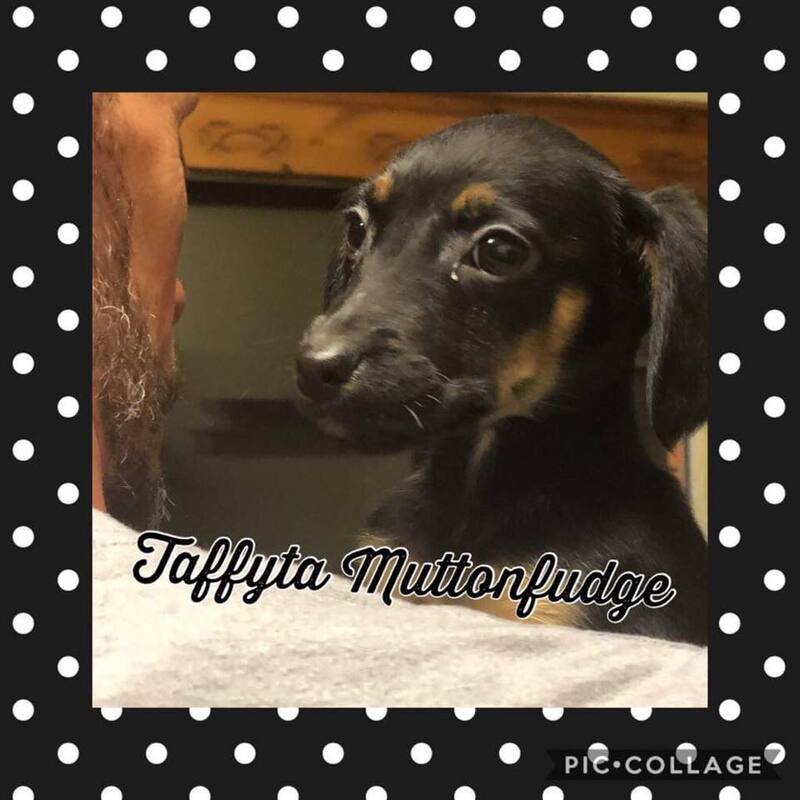 Beautiful little daschund type mix puppy is ready for her forever home. See a week in the life of this little lady whose full name is Taffyta Mutton-Fudge! Well on Friday I snoozled on the couch with my favourite human. I’m a champion snoozler dontcherknow…..
On Saturday I had a play date with my besties Steve and Jubileena Bing Bing. They do the best game of biteyface ever. Monday, we Netflixed and chilled to our favourite box sets. Ya just can’t beat a good session of Queer Eye to get your creative juices going…. Tuesday, Momma took us to see the person called the Vet. No idea what the point was but the nice lady gave us treats…. Wednesday went by in a blur of wrestling, treating, snoozing, more wrestling, more snoozing….ya get the idea…. Thursday is pamper day. We set off for our spa retreat (back garden) and enjoy the relaxing sounds of nature, while our paws are treated to a pupper pedi (running on concrete) and Momma fixes us a pooch-ini and a pupsicle (frozen yoghurt)….